Sorry I'm putting this up late and I'm just about to go into mourning having watched England lose to Croatia in the semi-final of the World Cup. I'm afraid #ItsComingHome is not happening this year, lads. 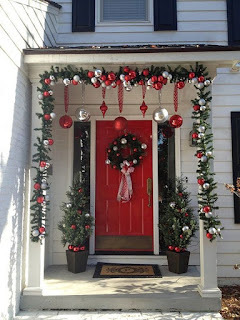 Day Eleven starts off our Outdoor Decorating segment of Christmas in July 2018 with doors and I'm all over a red door. I'd like my Christmas door to look something in between these two. I like the simpler one on the left. 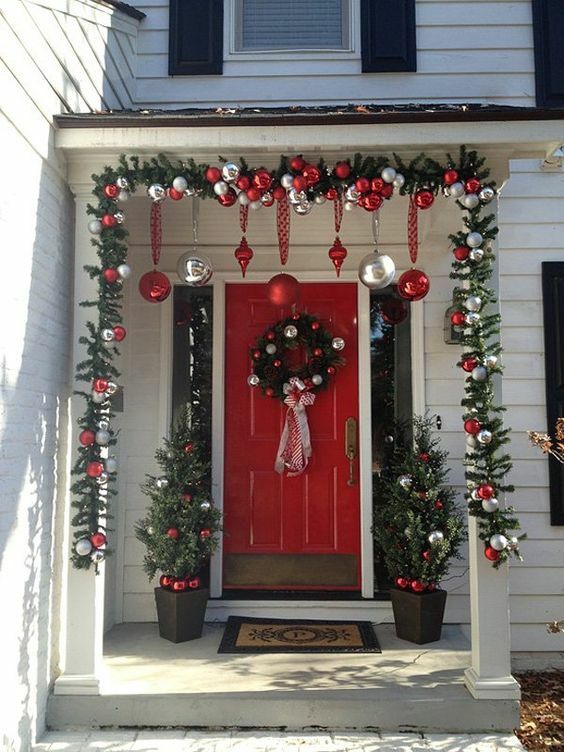 But it definitely needs the red door to pull it off. The red doors are beautiful with the greenery. 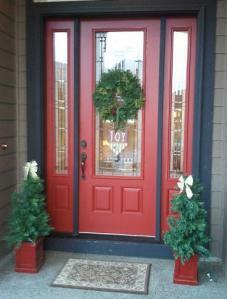 we have red doors too but too much wind for wreaths!